Donald Oliver Nelson, 88 years old of Mission Hills, passed away on July 3, 2018, at Brookdale Rosehill in Shawnee following a short illness with lymphoma. 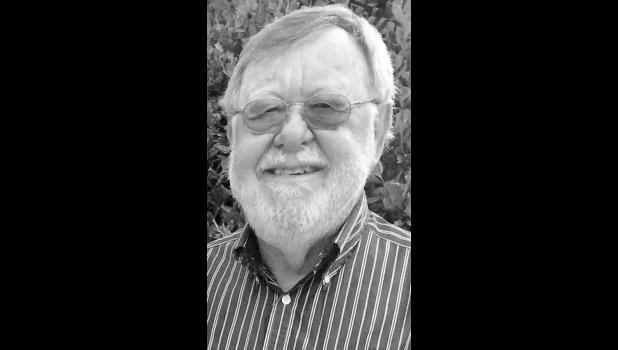 He was a husband, dad, grandfather, musician, farmer, rental property owner, hospital administrator and community booster from Whiting to Kansas City. Mr. Nelson was born March 1, 1930, in Horton, to Oliver James and Edna Mae (Beaman) Nelson. He grew up in Whiting and still owned a family farm. He married Sevie Esther Marie Johnson on Nov. 27, 1963, in the chapel at Research Hospital in Kansas City, Mo. She preceded him in death on Dec. 24, 1983, after a battle with breast cancer. Later, he married Margaret Elaine Naylor on May 5, 1990, at the Central United Methodist Church in Kansas City, Mo. He was a long-time hospital administrator in Kansas City, including managing the design and construction of the new Providence-St Margaret Health Center, now Providence Medical Center; as well as managing the staffing and relocation of Research Medical Center to Meyer Blvd. He was Associate Director, Providence-St Margaret Health Center, Kansas City, from 1974 to 2000, and Assistant Director, Research Medical Center, Kansas City, Mo., 1963-1974. He previously was the Personnel Manager, West Virginia Pulp and Paper, Kansas City, 1958-1963; Production Schedule Planner, Boeing Airplane Company, Wichita, 1957; and Production Welder and Machinist, Locomotive Finished Materials, Atchison, and Henry Manufacturing Company, Topeka. He learned those skills from his father, who operated a blacksmith and machine shop for more than 30 years in Whiting. He graduated from Whiting High School in 1948. He graduated with a BA in Industrial Psychology from Washburn University in Topeka in 1956 and a MS in Industrial Psychology from Kansas State University in 1957. He served in the U.S. Air Force, Private First Class, 1951, Basic Airman 3345th Sch Sq Northrop Aero Inst., Hawthorne, Calif. He was a member of Phi Kappa Phi, academic honor society; the American College of Hospital Administrators; Kansas City, Kan. Chamber of Commerce; Jazz Educators Association, among many other community groups promoting workforce training, farming and music education. He played trumpet, flugelhorn and valve trombone and led many bands through his life, most recently the Don Nelson Combo, playing dance tunes from the ‘20s through the ‘50s in the Kansas City area. He also played with Junkyard Jazz in Lawrence for more than 30 years. He got his start when he was about nine years old and a relative gave him an old cornet. He formed his first band when he was 18 years old -- the Don Nelson Band, which performed for 25 years in lodges, churches and town celebrations all over northeast Kansas and northwest Missouri. He owned a family farm in Whiting, purchased by his grandfather Henry Beaman in 1920. It will become a Kansas Farm Bureau Century Farm in 2020. He kept close ties to Whiting, serving as Grand Marshal in 2011 and Master of Ceremonies for the annual Whiting Fire Festival. He also did tractor work, including plowing and mowing, around the Kansas City area for almost 20 years. He is survived by his wife, Margaret Naylor Nelson; his son, James Eric Nelson of San Francisco, Calif.; his daughter Donna Marie Nelson-Schneider, his son-in-law Paul Schneider and his two granddaughters Abigail Virginia and Elizabeth Marie Schneider, all of Annandale, Va.
A visitation will be held from 1 p.m. to 2 p.m. with a service at 2 p.m. and a reception following on Saturday, July 21 at Johnson County Funeral Chapel, 11200 Metcalf Ave., Overland Park, KS 66210.